Why do we love empty spaces? 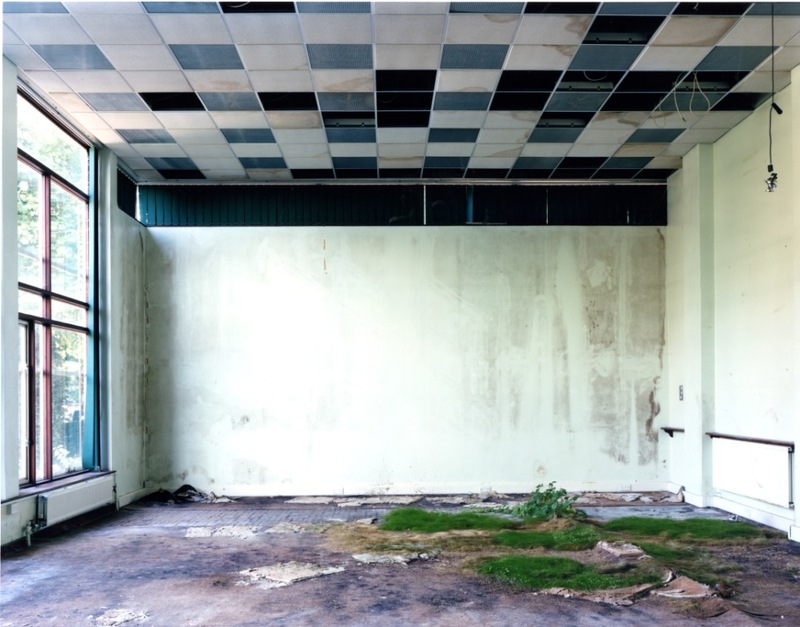 Why is it exciting to stand in a deserted building and feel the solitude, especially if the place was once full of people going about their daily lives, or enjoying an excursion? This feeling is there in any empty location but especially in large spaces. There is fading grandeur, melancholy decay, a reminder that even in the inanimate world things come to an end. It’s hard to say from the picture where this sad space was or what purpose it served. It could be any condemned building, except for the extrovert ceiling tiles which tell you that this once an ambitious place. 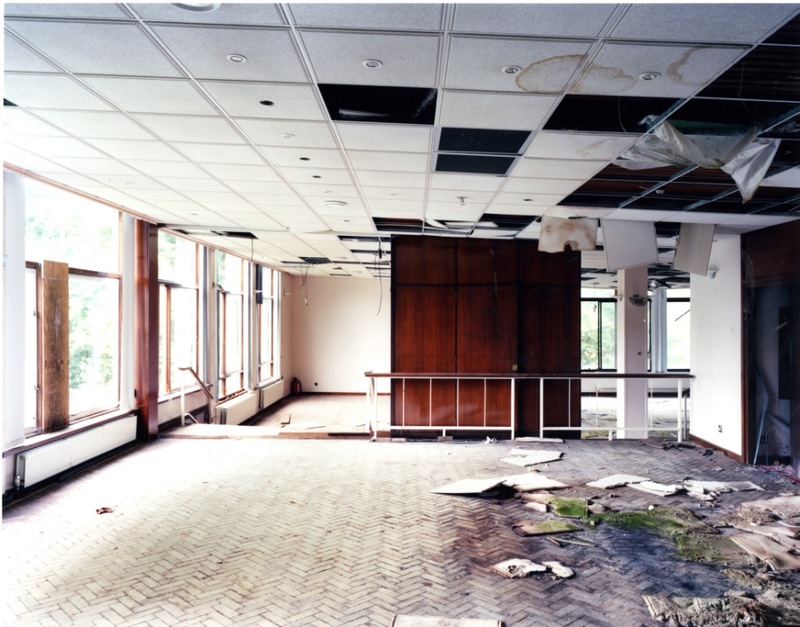 The ceilings are often the first parts to go in an abandoned building. Tiles start falling, water gets in and nature starts to stake a claim on what is left.This room was destined for destruction but other parts of the empty museum are going to survive. I’m not completely sure if this long room is one of them. It still commands a pleasant view of the park. This room on the other hand is definitely here to stay. The empty museum is still a unique place. 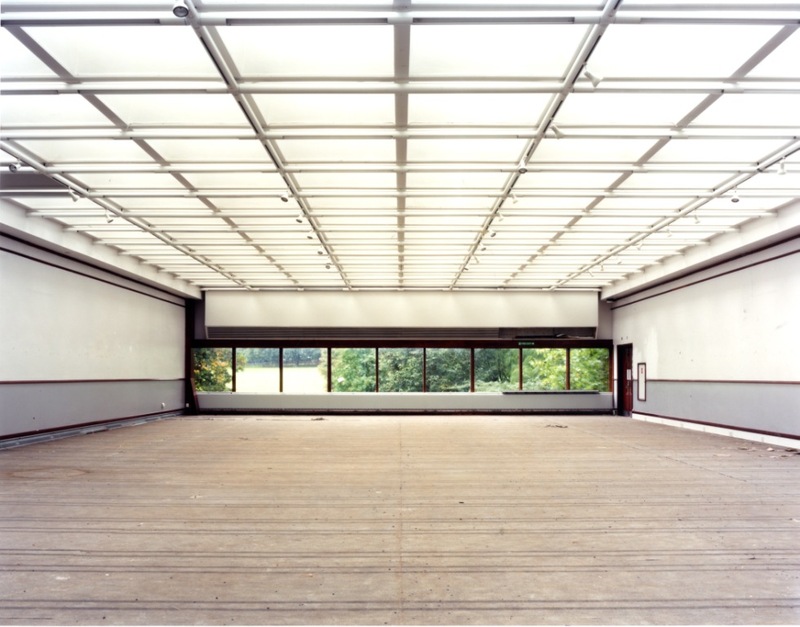 In fact, stripped of its contents you can concentrate on this enormous room’s most striking feature, the ceiling. And above all the shape. The museum is the direct descendant of the interiors we looked at a few weeks ago in Halls of Empire. 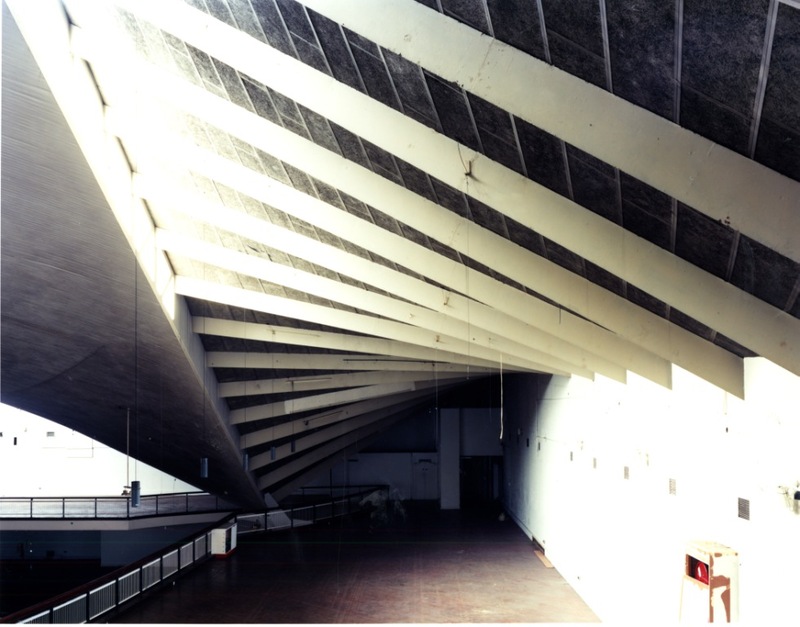 Although the Commonwealth Institute shared some of the uncertain purpose of its Imperial predecessor you can see that the sixty or so years which separate the two have not dimmed the desire to impress. 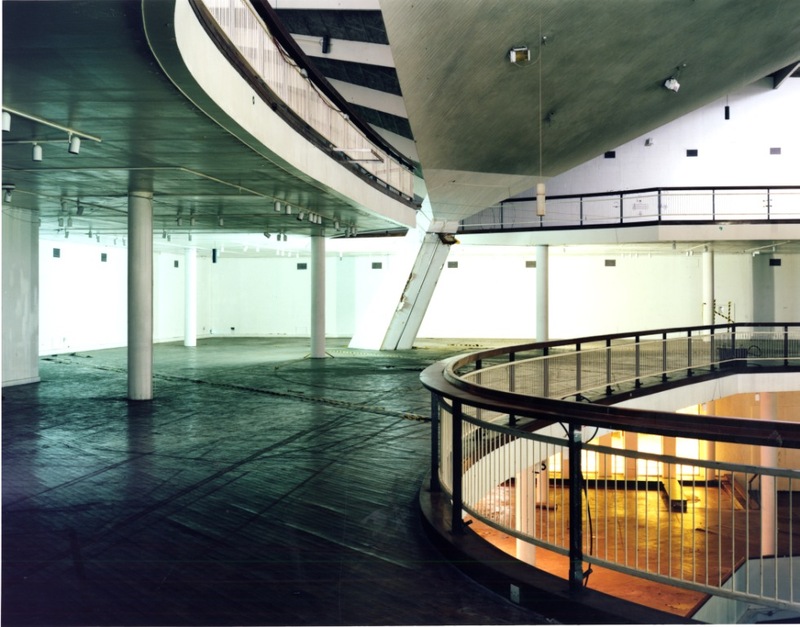 Even after being empty for many years the central space retains the optimism of the early 1960s. We can take a closer look at that slanting supporting pillar. Is it holding up the roof? There are wires everywhere in here like the rigging of a yacht. And here is the centre of the space, now marked simply with an eight pointed star. We have to take one last descent to the ground floor. 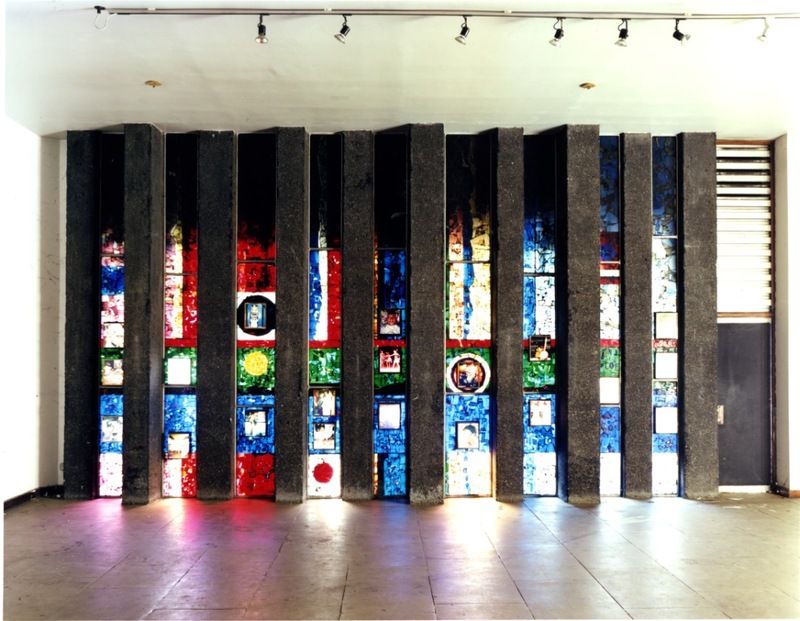 The stained glass window represents different countries of the Commonwealth. We can go now. 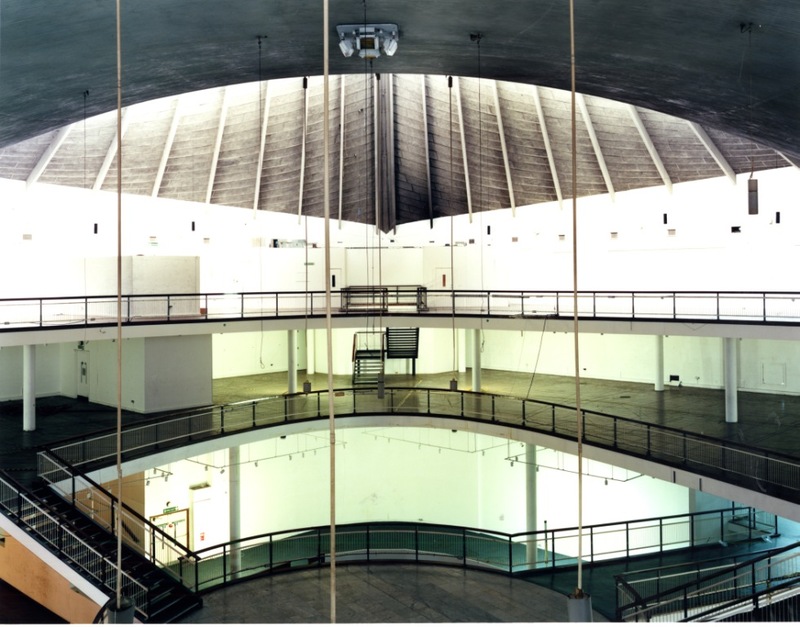 The main building of the Commonwealth Institute will be reborn as the new Design Museum so the empty museum will be filled again. But there are some stairs that will never be walked down again. And some views which are gone for good. 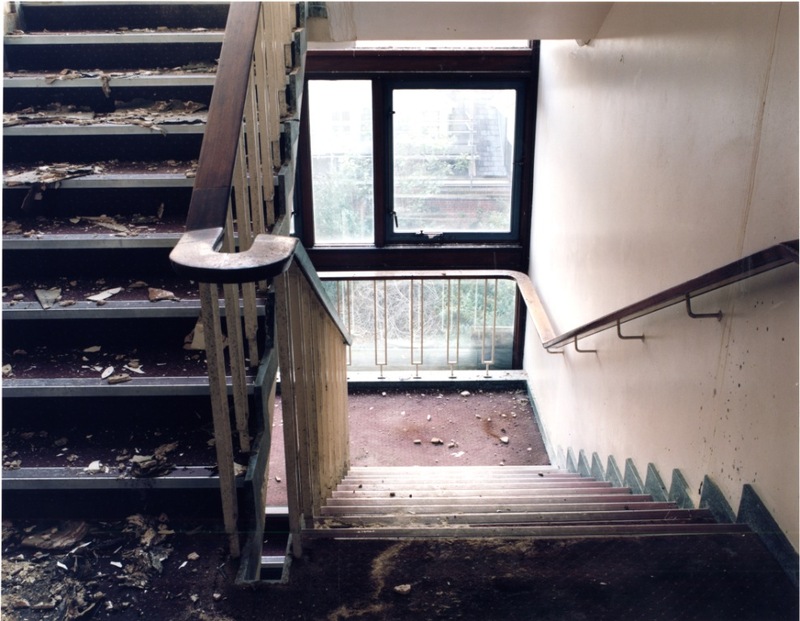 These pictures were deposited in the Library by Montagu Evans Chartered Surveyors . As part of their brief they created a record of the Institute as it was. The photographs are by Ben Murphy. He has done a remarkable job both in terms of creating that visual record but also artistically in catching the look of the interior. 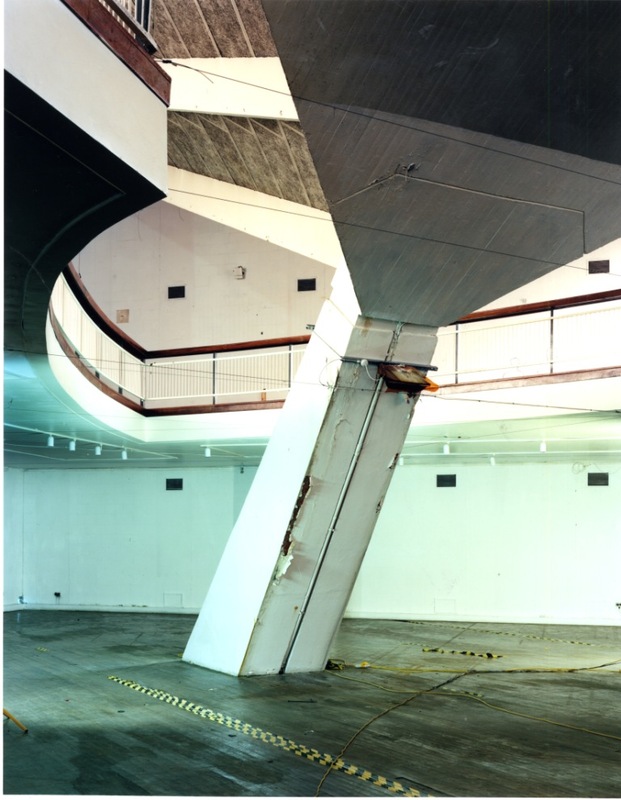 I know some of you will never get to the Library for a visit but if you’re interested in the Commonwealth Institute this set of images is a valuable part of its history. This entry was posted on Thursday, June 13th, 2013 at 12:11 am	and tagged with Commonwealth Institute, kensington, Kensington High Street, photography and posted in 20th Century, Interiors, Kensington. You can follow any responses to this entry through the RSS 2.0 feed. 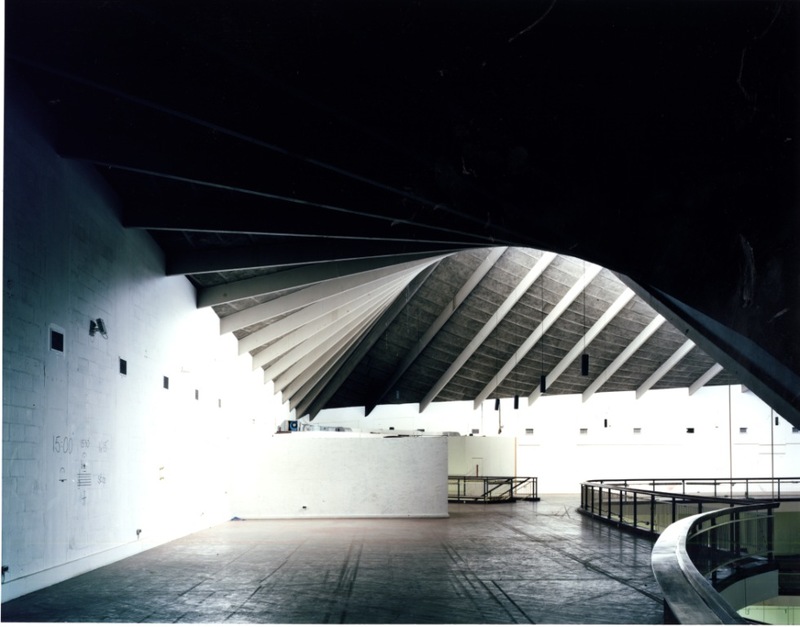 Great to see that this iconic building will become home to New Design Museum in 2016. Their website has many interesting pictures of the restoration. I look forward to walking around inside the building again one day. These photos fill me with such wistful sadness…. 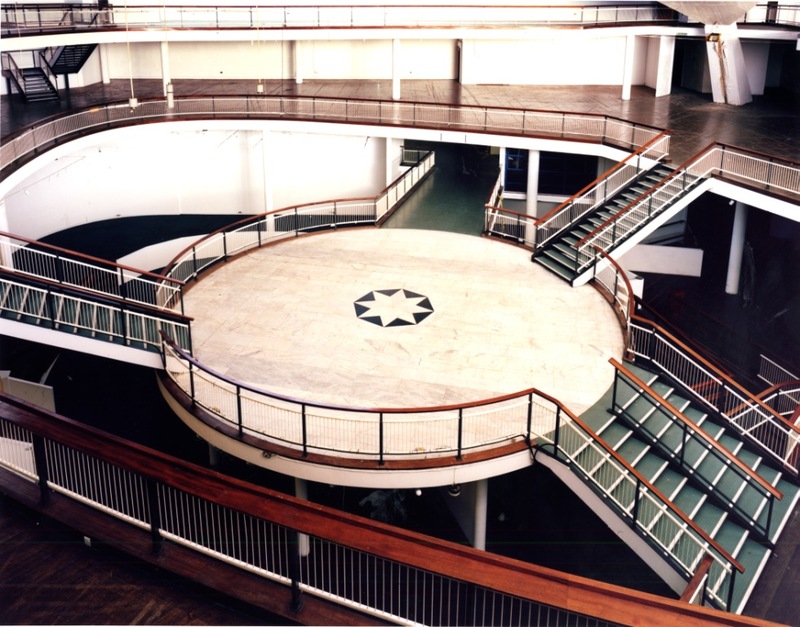 the many hours I have spent as a child and teenager walking these galleries, these stairs, those exhibitions…… at least the place will not be knocked down (as was feared for a good number of years)……. a place I loved and a place that started me off on my writing career (I won the Royal Commonwealth Society essay prize 1969). sorry this has made me cry such a beautiful building and education centre that I had the privelige of working in filled with such beautiful memories. seeing children educated for free although they did start charging small amounts for workshops and fesitvals. 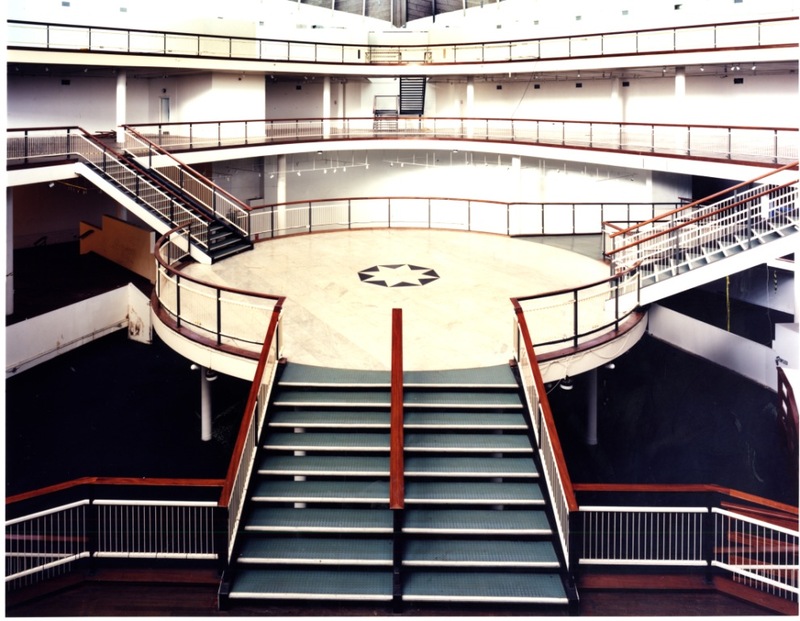 I too remember many visits to the Commonwealth Institute as a child-the first not long after it opened. We were amazed by the modern design and the lovely pictures and maps of the commonwealth countries brightly displayed. My favourite part was looking down at an illuminated map of New Zealand. I bought several maps including a large one of Australia and one of the world which started my interest in geography and taught me such a lot about places in the World. Sometime in the early 1960s a Routemaster bus left Roman Road Junior Mixed and Infants School, East Ham, filled with excited school children heading for the Commonwealth Institute in London. I have a memory of wonderful displays of all the various commonwealth countries that is still with me as I enter my 60th year. Sadly no pocket cameras in those days for us poor prefab kids so the only images I have are in my mind and the memory of an exciting day out with a packed lunch. I am glad to read that such a wonderful building will not be lost. Perhaps a developing and evolving commonwealth would have been a better future than the European debacle we are saddled with today. Love this article – thanks for the photos — was trying to find out what happened to all the contents. I am of an age to remember the Zimbabwe tractor display, and the illuminated New Zealand Cow. I am researching the stained glass work of artist Keith New. 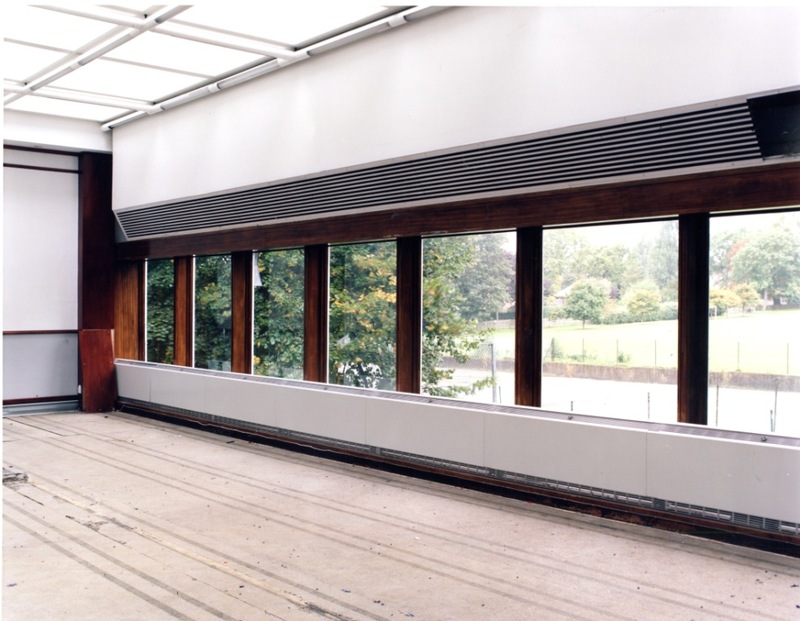 The colour photograph in this article is the first I have seen of his panels in situ at what was the Commonwealth Institute. I wonder whether it is possible to get a good quality copy of this photograph. I do hope you can help. I’ll be replying to you directly by email. I am also researching Keith New’s work! What a coincidence. Can I also ask for a copy of the picture and any others you may have taken of the glass. I will of course credit you. 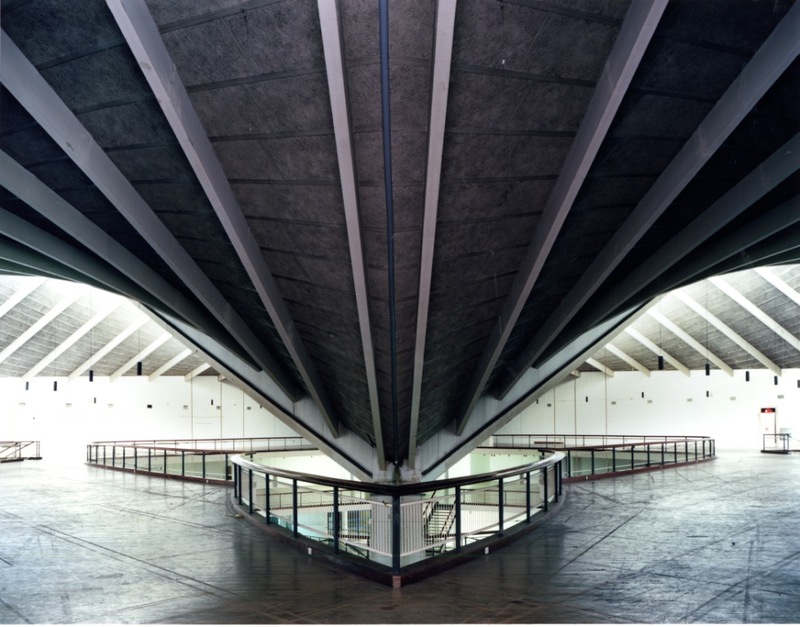 So it’s really exciting to know that soon we’ll be able to enjoy the building once again – the Design Museum is such an appropriate occupant. I can’t wait to get back in there. Does anyone remember looking down a hole to see a model of the world on the floor below? 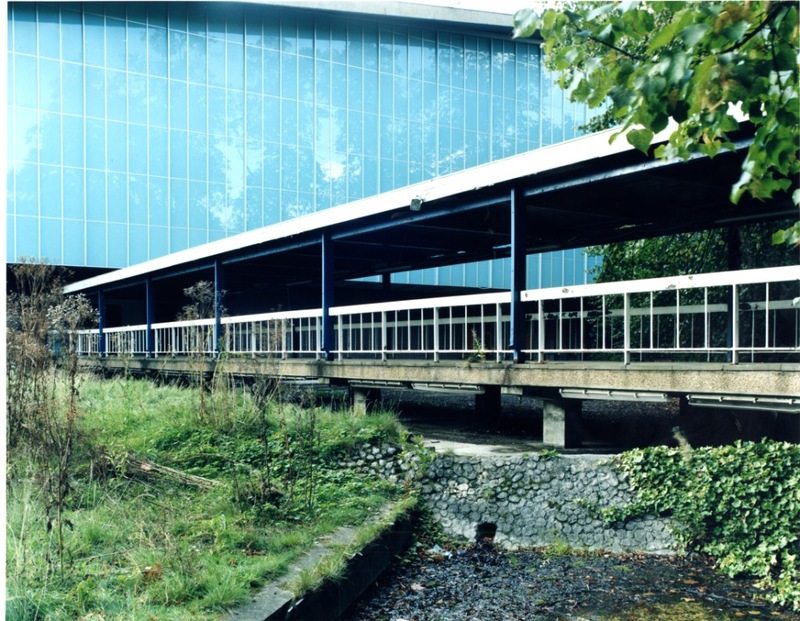 Does anyone remember a tall blue steel sculpture/construction by Kenneth Martin outside the main entrance in the late 1970s? Where might there be any records please?